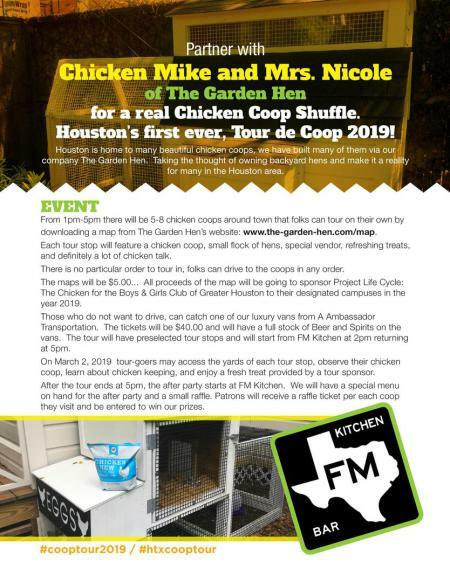 Join Chicken Mike and Mrs. Nicole on March 9th 2019 for the chicken coop tour of 6-8 chicken coops around town. 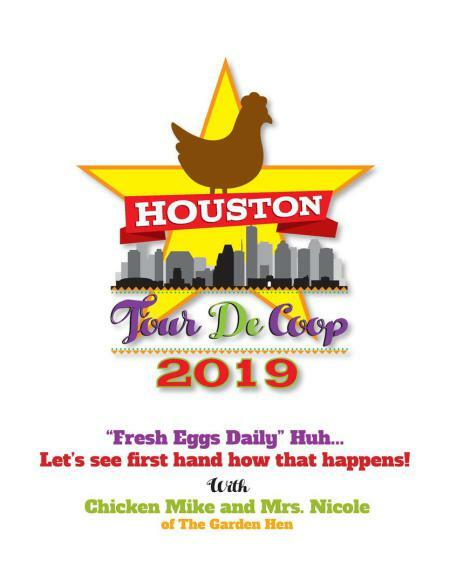 Each stop will have a chicken coop, small flock of hens, a special vendor, refreshing treats, and of course a lot of chicken talk! Purchase the $5 map to join the tour. 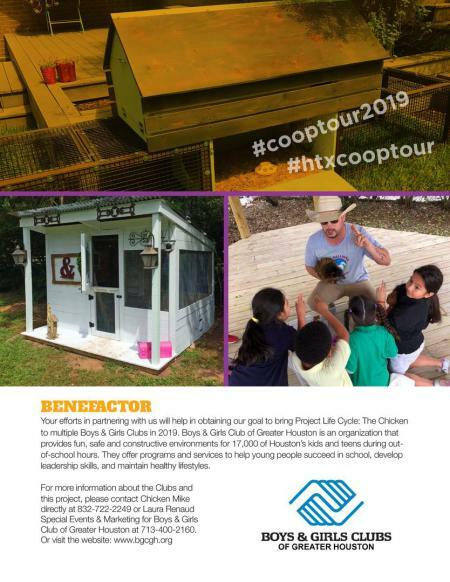 All proceeds will sponsor Project Life Cycle benefitting the Boys & Girls Club to Greater Houston. For those of you who do not want to drive, catch one of our luxury vans from Ambassador Transportation. $40 tickets will provide beer and spirits during the tour. Tour will leave from FM Kitchen at 2 pm and return at 5 pm. 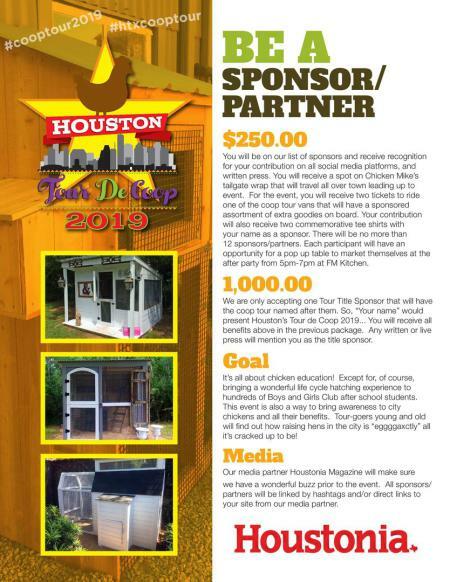 Donate $250 to be a recognized sponsor of the tour, receive two tickets to ride the tour bus, a bonus package on the tour bus in addition to the beer and spirits, and an opportunity to market themselves during the after party.